Last Sunday I took our aka Kappa to the Justice Cat Club Show. Kappa just became 8 months old. This was her 2nd time attending and was the debut to the Championship. When she attended last time she was still a kitten and wasn't afraid of anything. Since than she looks like she learned a bit more about the world and looked like a bit cautious. 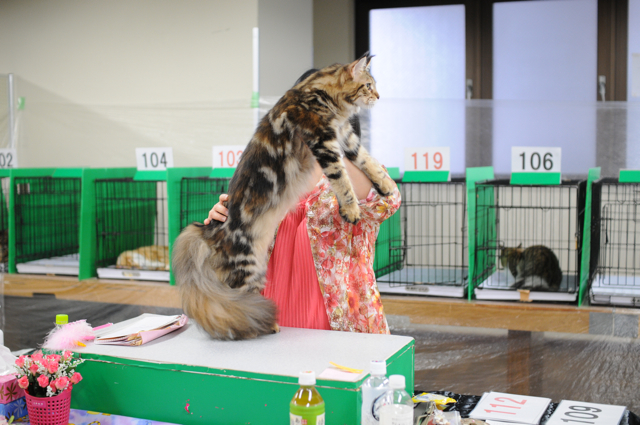 The weather was bad but the traffic was OK and we reached the show hall within an hour. 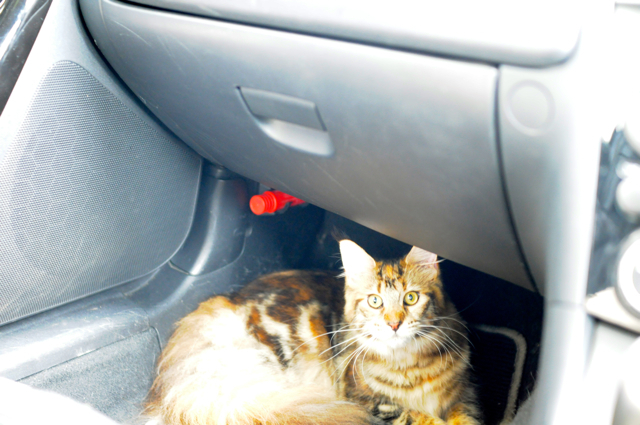 After we found a parking lot, I decided to let Kappa free inside the car. I looked into the shelter and there was no one there! All the fasteners were OK and there seemed no place for here to escape. Or did she break the mesh door? I called her name several times and the she came out of the toilet house which was placed in the shelter! What a girl to surprise me so much! Was a small but a big enough happening to me. Justice Cat Club was established in 2006 and this was the 15th show for them. We started to attend their shows from 2008. 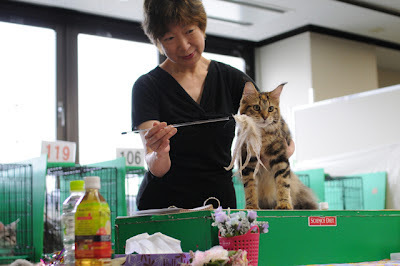 There are quite number of memories that I can recall easily such as “Lucky Cat Prize”, hand made rosettes and more. There were 7 rings, ABx6 and one SP. Total number of the kittens were 24 and 13 of them were MC. For the Champion Class there were 25. Kappa is not a big girl to challenge the Champion class. But still may be she may have a chance. Again this time, Yasuyuki couldn’t come and only Kappa and me were sharing the same time. The next to us at the bench were the Chatile familly, where our Edward, Scarette and Maggie came from. 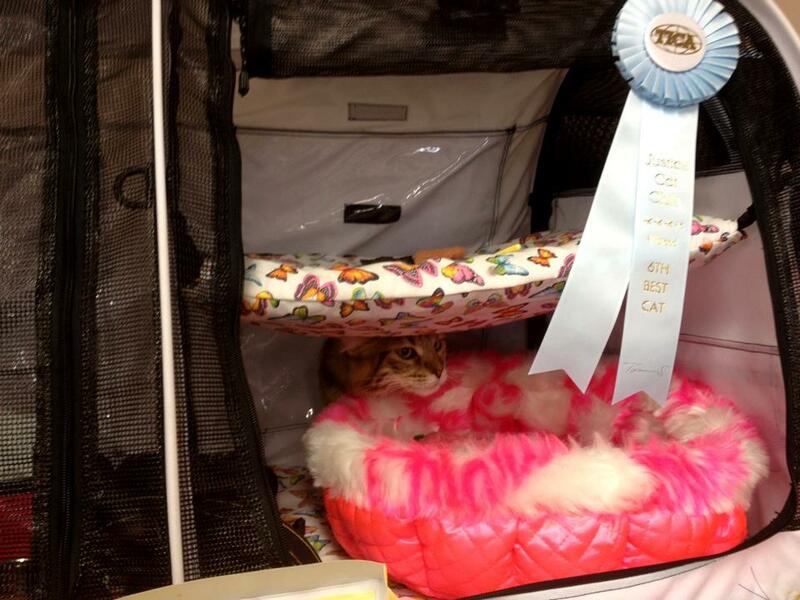 They were bringing in some kittens for the show. It was a quite fun to see the debut kittens next to us. Now Kappa and her litter mate are the youngest ones in our cattery. She is now 8 months old and I noticed that we havn't seen our kittensfor quite long. A bit wildered, Kappa won 2 finals and became TICA Champion. I am not sure how long she can attend, but one thing that is sure is to enjoy each momnet with her. Next week (Jul. 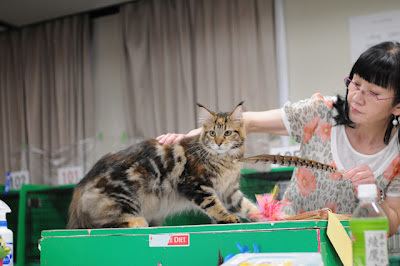 15th) we are plamming to take Kappa and Alice to the ACC Cat Show. Who is going to be at the show next time? aka Kappan, Kelly you did very well. 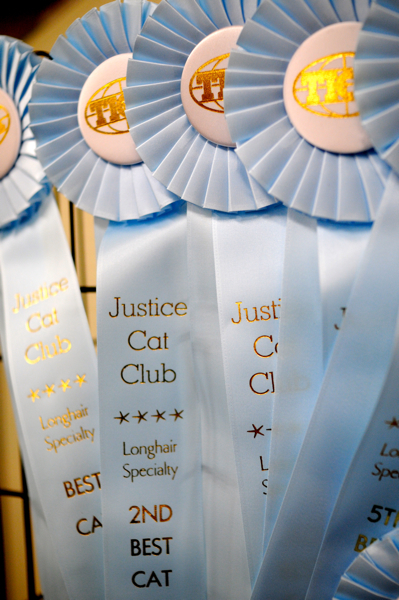 And thanks to the members of Justice Cat Club. We had great fun attending your every time show. 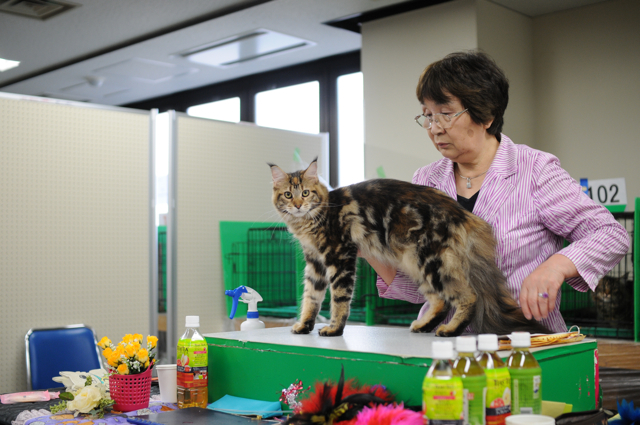 We are expecting kittens from the same mating as Kappa (Victor x Judith). A new couple Einstein x Cindy, Ein x Kappa and/or Reebok. And we still have Wendy and Maggie in the group.